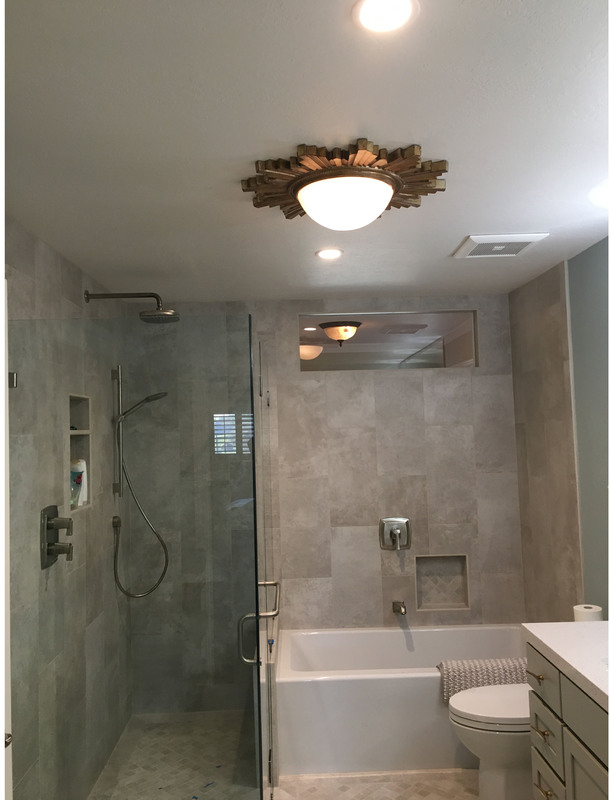 Master Bath remodel. Cook’s kitchen and Bath created a beautiful calming bathroom with subtile tones of complementing grey colors in the flooring, cabinets and shower and tub enclosures. The modern simple lines of the cabinets, tub and shower complete the well designed master bathroom. Cook’s Kitchen and Bath create bathroom remodel designs the reflect the customer’s needs and budget.